In banking and finance, the hottest MBA jobs are now in fintech. “I caught the bug coming into business school,” says Dan Elitzer, an MIT Sloan MBA at IDEO Futures, a Silicon Valley innovation consultancy, which is helping craft fintech ventures. The founder of the MIT Bitcoin Club spent his summer interning at Circle, the bitcoin start-up led by a former JPMorgan Chase executive. Dan, who works with Citi Ventures and NASDAQ, may be a fintech star but he is not a rarity. The race to harness financial technologies has opened up a wealth of MBA career opportunities. “Fintech is a great area for recruiting growth,” says Richard Bland, head of financial careers at London Business School. Richard singles out payments providers such as Mastercard as active campus recruiters. There has been a surge of innovation in the payments space, as traditional providers such as American Express compete with newer entrants like Stripe, Square or TransferWise, plus tech big groups Apple, Google, and Amazon. CB Insights calculates these payments start-ups raised $3.8 billion in venture capital in 2015. Roxanne Hori, associate dean of corporate relations and career services at NYU Stern, says that MasterCard and American Express are expanding their recruiting efforts in the digital innovation space, as they compete with Silicon Valley tech outfits like Microsoft and even LinkedIn. Manish Kumar, left, is global delivery lead for digital transformation at HSBC’s retail bank. The Lancaster University Management School MBA previously worked as digital program delivery manager for bPay, Barclays’ contactless payments scheme. “My MBA was quite instrumental,” he says, highlighting strategy courses and the corporate challenge module. The payments superstar says the key opportunities for players in the space are around big data and “the capability to capture, analyze and inform through connected, wearables devices”. At investment banks, fintech has become one of the most popular areas to work in. Tech bankers have been buoyed by healthy deal flows — Berkery Noyes, a boutique investment bank, estimates fintech M&A value doubled in 2015, to $64 billion. “We have started to see firms recruiting MBA talent. Large banks may assign some of their summer associates and subsequent full-time hires to the groups covering this industry, however it is not yet a dedicated recruitment process,” says Charles Labelle, assistant director for employer engagement in Europe and the Americas at INSEAD. One of the sexiest technologies to set the financial services world abuzz is blockchain. 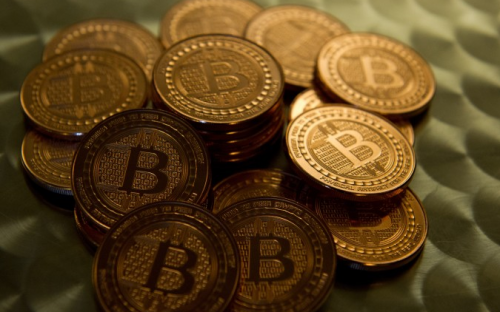 The tech emerged with the digital currency bitcoin but now has its own fan club. “There is a lot of uncertainty about bitcoin. But there is very little controversy about the future of blockchain. It’s not going away,” says Campbell Harvey, professor of finance at Duke’s Fuqua School of Business. He says firms are “scrambling to hire” people who understand the tech. Goldman Sachs, Morgan Stanley, and Bank of America have thrown their weight behind blockchain. “Robo-advising” — automated digital investment services, which often use artificial intelligence or machine learning — is another hot area. It has banks including UBS, Santander and Barclays rushing to explore its potential uses. Money managers such as Schroders, Blackrock, and Aberdeen Asset Management are also buying in. Betterment, a robo-adviser set-up by Columbia MBA Jon Stein, this week raised $100 million, giving it a valuation of $700 million. Citigroup estimates assets managed by robo-advising could reach $5 trillion over the next decade. Regina Resnick, associate dean for careers at Columbia Business School, says that independent fintech start-ups and growth companies provide the most MBA job opportunities. “Students are so interested in this intersection of finance and technology that a new club specifically focused on fintech was launched this past year,” she says. Julie Morton, associate dean for career services and corporate relations at Chicago Booth, says these companies seek to use technology to “disrupt” the financial services sector with mobile payments, e-insurance, and online lending. “The start-up/entrepreneurial environments/cultures of the firms are very different from those of investment banks,” she says. David Lask, left, an Imperial College Business School MBA, ditched Santander’s investment bank and opted for a fintech start-up in Mexico, Visor, which helps SMEs access financing through tech. “What’s exciting about fintech is how it can help a developing country like Mexico fast-track its growth,” David says. Mexico’s fintech industry is still young, he says, which “means there are many opportunities to revolutionize the Mexican financial sector”.